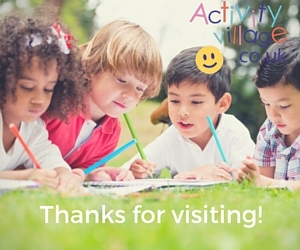 We've got a really big variety of printable certificates at Activity Village, and hope that you'll find just what you need. Somehow the ones on this page didn't fit into any of the other sections, but that doesn't mean they aren't worth exploring! 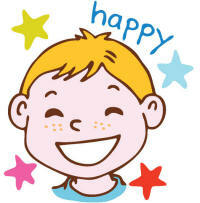 Certificates can be a great way to reinforce good behaviour or reward extra achievement or effort. This teddy awards certificate looks fantastic and will be gratefully received by boys or girls. This cute teddy congratulations certificate in pink will definitely appeal to little girls. Use to reward any special moment in your day. Everyone likes a little praise and your child will be very proud to receive this delightful teddy medal certificate. 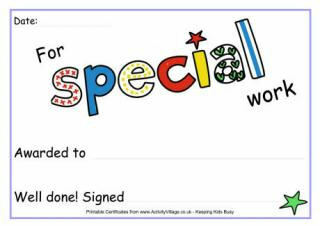 Reward some great behaviour or impressive effort with this teddy themed well done certificate. It will appeal to boys or girls and has space for their name, reason they are being awarded the certificate, and a line for the all important official signature. Reward the children for doing their bit to help on Earth Day by awarding them this lovely certificate!